Positive rumors produced a major rally, negative rumors took it back. The market was overbought on news of a potential deal with China. That deal evaporated and the tariff warnings came back, and equities erased much of their gains from late last week. While tariff sensitive stocks were crushed others declined with the market. Salesforce.com, has nothing to do with China but had been up significantly. Shares fell over $4 in the market crash. The long call position was stopped at $54.35. 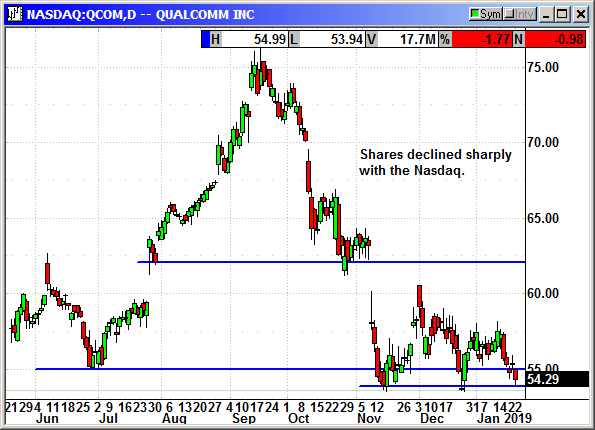 The court battle entered its 9th day with Qualcomm finally getting a chance to defend itself. Right out of the box they got Apple to admit that Qualcomm was the only supplier for 4G chips in 2012 and that Qualcomm's 120,000 patents are essential for the smartphone market today. Having leadership technology and selling it to manufacturers is not monopolistic. It is just business. If they do not want to buy it that is their decision. 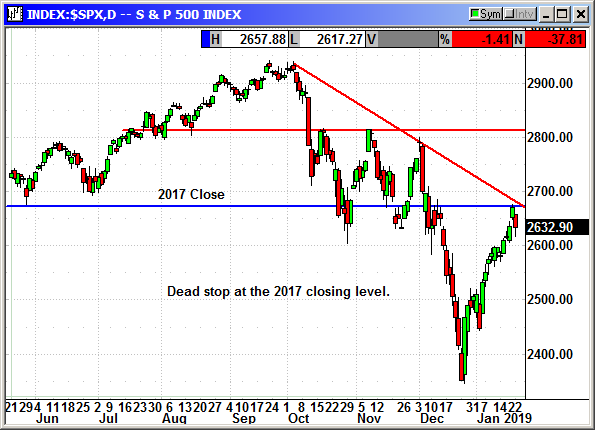 We were stopped out of the long call position in the market decline. The long put position remains open. 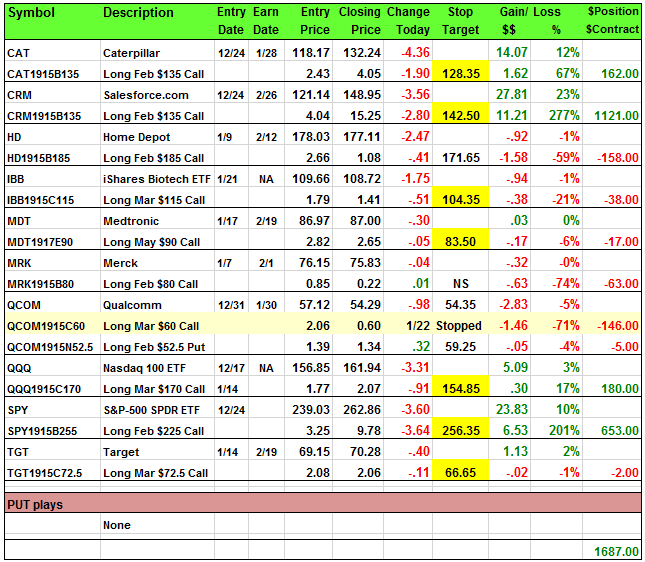 Closed 1/22: Long Mar $60 Call @ $2.06, exit .60, -1.46 loss.